Every year, particularly during the spring and summer, hundreds of young wild animals are unnecessarily picked up by the general public, most commonly baby birds and fawns. Many such encounters are unnecessary and can even be detrimental to the animal. Call your local wildlife rehabilitator, your game warden or the TPWD wildlife information line at (800) 792-1112. Here are a few tips to help guide you. You hear a baby bird crying from the nest. You may not be able to see the parent, but it is likely close by. You find a blown-down nest. If the nest is relatively undamaged and the young birds or eggs are unharmed, replace the nest in the tree from which it fell or in a nearby tree. You see grounded baby birds. Birds often fledge from the nest before they are fully feathered or flight-ready. They will be fed on the ground for a day or two until they are able to fly. Usually, you will see a parent attending it or foraging nearby. You find a deer fawn. Mother deer typically leave their fawns bedded down while they are away foraging. 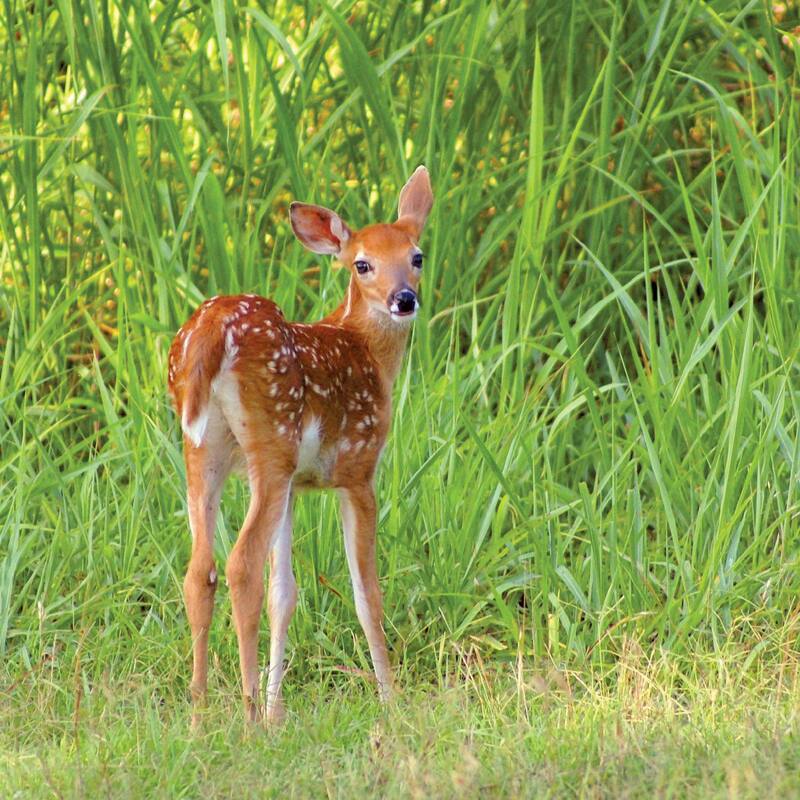 If the fawn is not crying or covered in fire ants, its eyes are not swollen and there are no visible wounds, do not handle or disturb it.